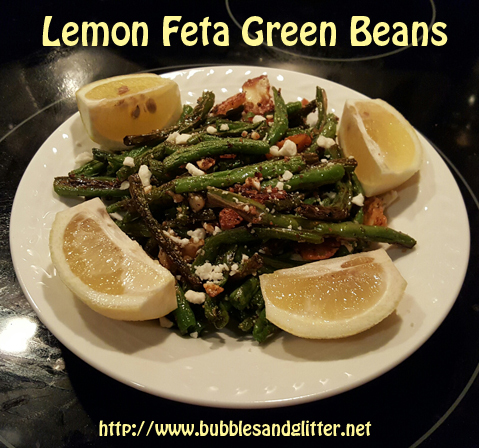 Nothing says summer to me like lemon and green beans! Green beans are one of my favorite veggies, and I like just about anything that has lemon in it! A friend shared a Roasted Garlic Asparagus with Feta recipe recently, and it inspired me. I’m not a huge fan of asparagus though, so I switched it out for the green beans, since I already had that on hand. 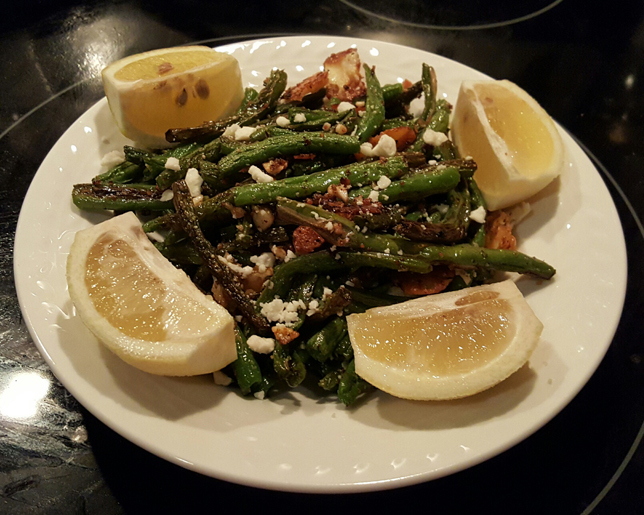 I call this “Lemon Feta Green Beans”! 1. 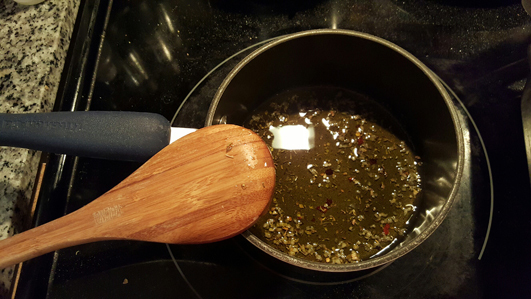 In a small sauce pan, heat the oil, garlic, lemon zest, oregano, and red pepper flakes over low heat just until the garlic starts to turn a golden color. Remove pan from heat and cool about 10 minutes (garlic will continue to brown a little bit). 2. Preheat oven to 425º. 3. On a rimmed baking sheet, toss green beans with infused oil until well coated. 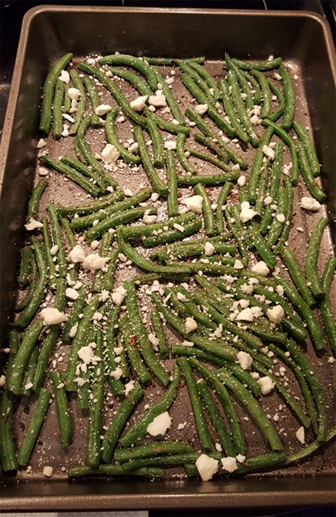 Arrange green beans into a single layer, using a second baking sheet, if needed. Sprinkle with salt and pepper (we used garlic salt, because we LOVE garlic). 4. Roast green beans in preheated oven for 10 minutes. Remove from oven, crumble feta evenly over green beans, then please back in oven for an additional 10-12 minutes, until it reaches desired tenderness. 5. Remove from oven again, then cut lemon in half and squeeze desired amount over green beans and enjoy! Do you have a favorite summer side dish? Be sure to share in the comments below! Thank you for stopping by! Click here to see where this post may be linked, and don’t forget to visit some of the other great blogs there as well! In a small sauce pan, heat the oil, garlic, lemon zest, oregano, and red pepper flakes over low heat just until the garlic starts to turn a golden color. Remove pan from heat and cool about 10 minutes (garlic will continue to brown a little bit). On a rimmed baking sheet, toss green beans with infused oil until well coated. Arrange green beans into a single layer, using a second baking sheet, if needed. 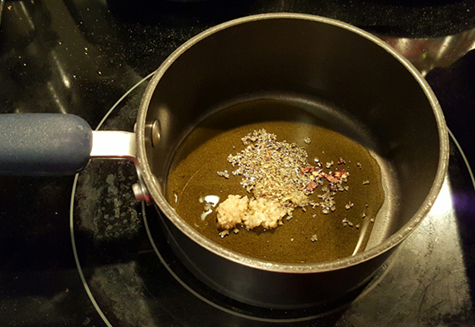 Sprinkle with salt and pepper as desired. Roast green beans in preheated oven for 10 minutes. Remove from oven, crumble feta evenly over green beans, then please back in oven for an additional 10-12 minutes, until it reaches desired tenderness. Remove from oven again, then cut lemon in half and squeeze desired amount over green beans and enjoy!